Via The Sims 3 Community Blog – Thanks Cavia! Today I’m happy to be able to share more info on one of my absolute favorite parts of The Sims 3 Into the Future – Plumbots! 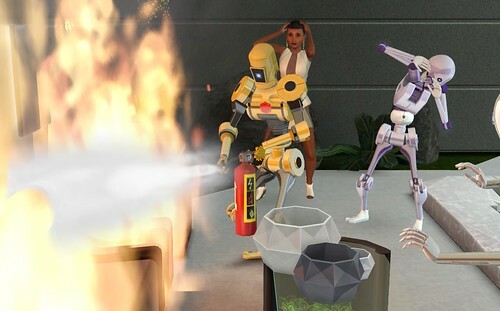 From the very beginning of this pack, we set out to make Plumbots feel like a natural evolution of everything fans loved about bots from older Sims games, just bigger, better, more customizable, and more durable. We had so much fun acting out bot animations and telling crazy bot stories. Here are a few fun facts to get you ready to play with the future and Plumbots! Plumbots are an integral part of the household of the future. Most families in the future have at least one bot to help out around the house, and several service industries have enlisted Plumbots to do work like firefighting and pizza delivery. Programmable Personalities! 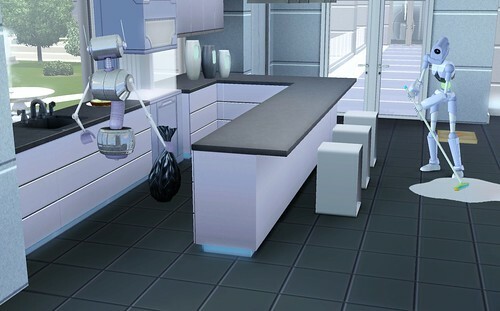 One of the things that set Plumbots apart from all other beings in The Sims universe is their ability to change personalities with the flip of a trait chip. Without trait chips, bots are pretty simple creatures; you only need to keep their batteries charged and their chassis tuned. Trait chips hold the personality programming for your bot. With a simple Adjust Trait Chips interaction, you can change your bot from fun-loving to evil in a snap! There are dozens of trait chips available for Plumbots. Competent Cleaner is a great trait chip for some instant help in a messy house. Need some help in the garden? With the RoBotany Gardener chip, bots will automatically tend the garden and fertilize plants – no ingredients needed! The Office Drone chip will allow your Plumbot to get a job and earn some simoleons for the household. If you’re looking for a bot with a little more humanity, give Sentience a try. This chip is the closest program to humanity that a Plumbot can equip. And of course the Efficient and Solar Powered trait chips are always good to have on hand since they will help your Plumbot run more smoothly. For players who want to dive deep into the world of creating and customizing Plumbots, a Bot Workshop is the place to start. 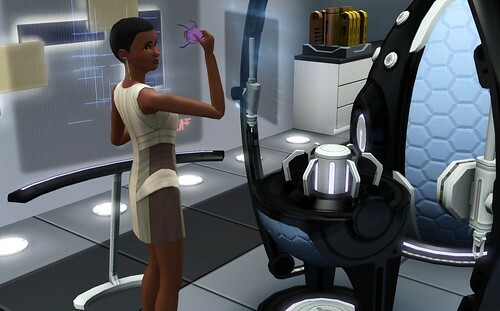 Improve your Bot Building skill by Designing Nanites and Trait Chips. Nanites are one of the building blocks for bot trait chips; you can learn how to make them by Designing Nanites on the Bot Workshop or find them in the wild. By Designing Trait Chips, you will learn how to make new trait chips for your Plumbots. Create-a-Bot! With a little Bot Building Skill, you can use the Bot Workshop to create and customize a Plumbot in the brand new Create-a-Bot Mode. This mode allows you to customize everything physical about your bot. With tons of heads, torsos, arms, legs, and hovers to choose from, the options are endless! Try out patterns on your bot with Create-a-Style, and of course share your unique creation with friends on the Exchange when you’re done. Bots are upgradeable! Improve your Bot Building skill to upgrade Plumbots. Upgrades will allow bots to equip more trait chips at once and expand their personality. With a high Bot Building skill, you can also improve the quality of your bot as you give them tune ups. Having a higher quality level will make your Bot run more efficiently and use less battery power. These upgrades increase the value of your Plumbot (should the day come that you want to sell your metal friend). Plumbots are self-sustaining. Bots are capable of tuning and charging themselves, but with the right trait chips installed they can do so much more! 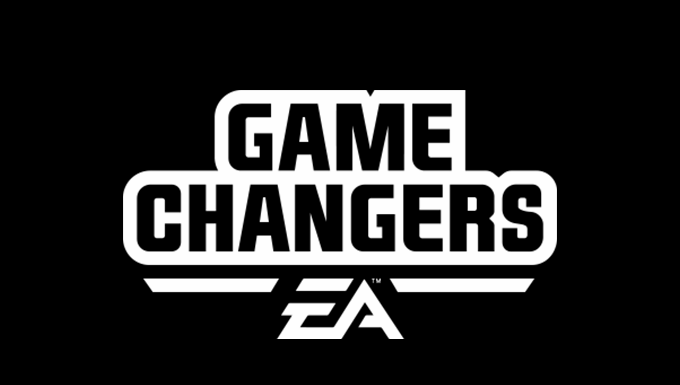 Create a household full of bots equipped with Office Drone, Limitless Learning, and Sentience trait chips, and you never need a human again! Romance is in the silicon. 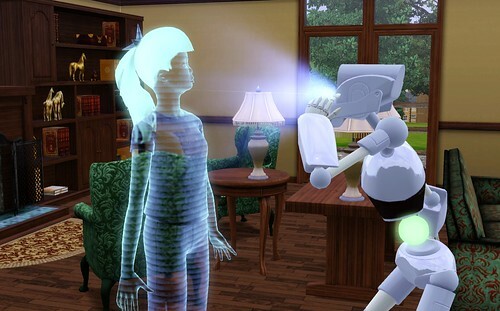 With the Capacity to Love trait chip, Plumbots can simulate all the gushy feelings human Sims love to express. Bots can even woohoo with each other in a variety of places; for a great new woohoo spot, look no further than the Bot Workshop! Of course, since Plumbots aren’t human, they don’t reproduce like human Sims, but with the RoboNanny trait chip installed your bot will take excellent care of your little ones. Plumbots can project the future! With a Holo-Projector chip, bots can help you contact your friends in the future so you can keep in touch, even when you’re separated by time and space. 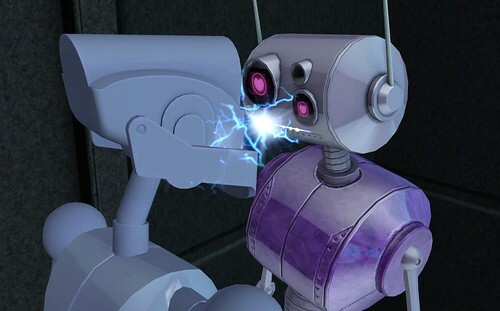 Who needs a phone when you have a Plumbot?! While visiting the future be sure to swing by the Nuts n’ Bolts Bot Emporium. The Emporium is a great place to purchase bots with pre-programmed personalities. 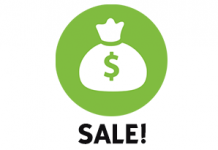 The helpful Sales Bots will also be happy to sell you finished trait chips for your Plumbot as well as a wide array of ingredients for making trait chips in your Bot Workshop. No need to use valuable Lifetime Happiness Points to buy a Plumbot! If you want a bot of your own without the work of making it from scratch, this is definitely the place to go. Whew, that was a lot of bot-related info! I hope your circuits aren’t overloaded. Out of all the features in The Sims 3 (including Witches and I really liked that one), I had the most fun making Plumbots, and I really hope that you love playing with bots as much as I do. I can’t wait to see the fantastic creations and stories our amazing fans create with Plumbots! Happy Simming! 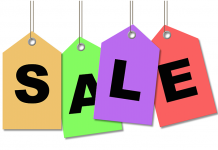 Next articleSims 3 Store: Thursday Sneak Peek!